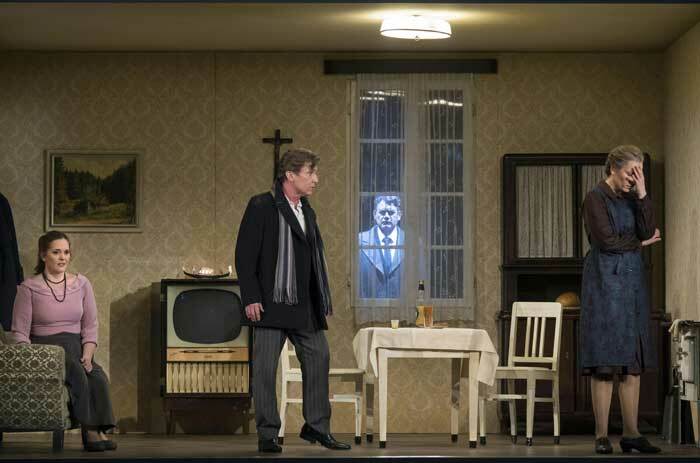 Photographs by Thilo Beu, courtesy of Aalto-Musiktheater, Essen. 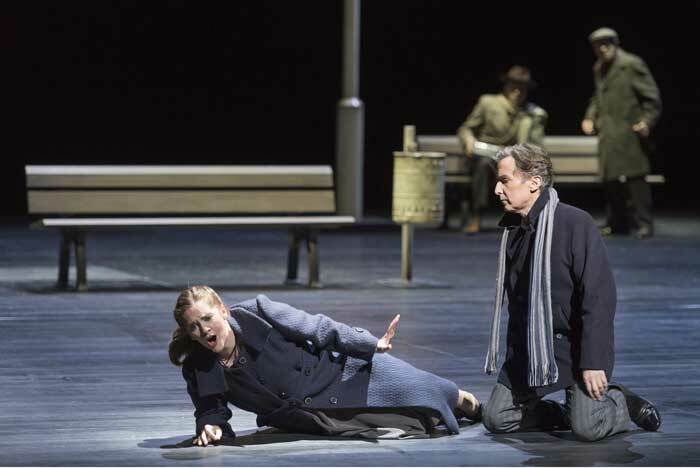 Around the same time as Donizetti was hitting his stride in the late 1820s, German opera was beginning its rise to eminence emerging out of the work of Carl Maria von Weber. The next composer to make a real impact was Heinrich Marschner (1795-1861), now largely forgotten, overshadowed by Richard Wagner. However, in the late 1820's and early 1830's he was the best known exponent of German opera, particularly with Der Vampyr (1828), Der Templer und die Jüdin (1829) and Hans Heiling (1833). Although he was to live for almost a further thirty years and to compose several more operas, these three remain the highpoint of his career. Even so performances are very few and far between. 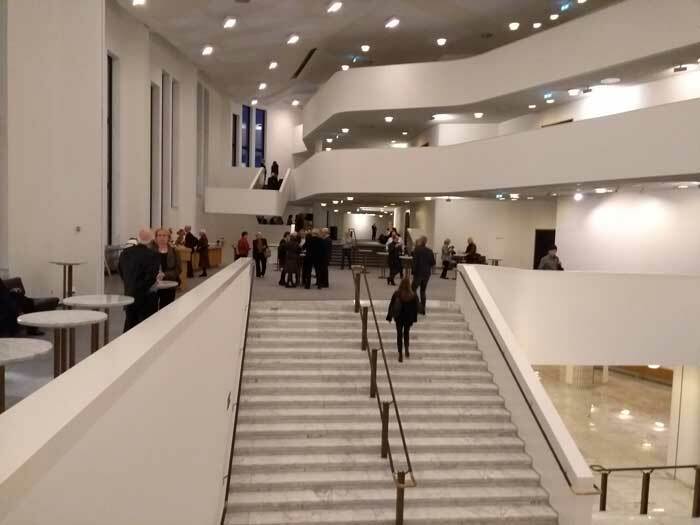 Perhaps the excellent production at Essen's superb modern opera house (see photos of it below) will lead other houses to look again at his operas. 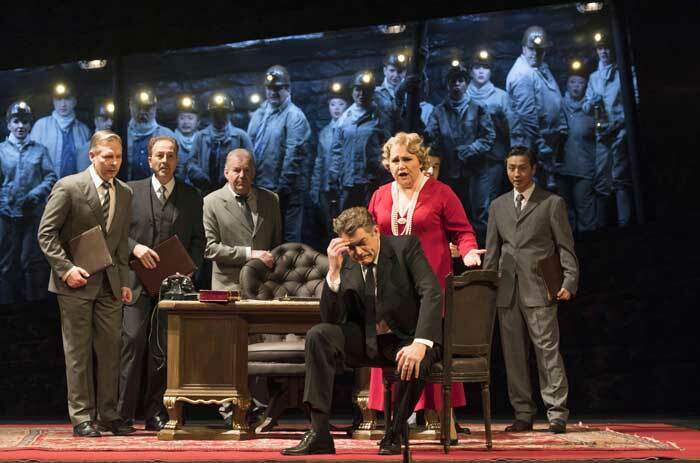 Russell Burdekin saw the March 9 production. Hans Heiling is a prince of the Earth Spirits who live below ground. He is besotted with Anna, a mortal, who he has met and decides to leave the Earth Spirit kingdom to marry her, much to distress of his mother, the Earth Spirit queen. Anna, dazzled by the jewels he brings and encouraged by her mother, agrees to marry him. However, at a dance later she realises that she is attracted to Konrad with whom she dances making Heiling jealous. Later the Queen confronts Anna and tells he that her son is an Earth Spirit and that she must give him up. Anna faints and is discovered by Konrad who takes her home, only to be seen by Heiling who ends up wounding Konrad but not fatally as he intended. Heiling goes back down below but when he hears that Konrad is still alive and going to marry Anna, he plots revenge and returns to the land of mortals intent on killing the wedding party. He tries to get Anna to change her mind but when she will not he prepares to blow them all up. However, his mother intervenes and persuades him to come back down below earth and leave the mortals be. Coincidentally, this mixture of mortal and immortal can be found in Wagner's almost contemporary opera, Die Feen. 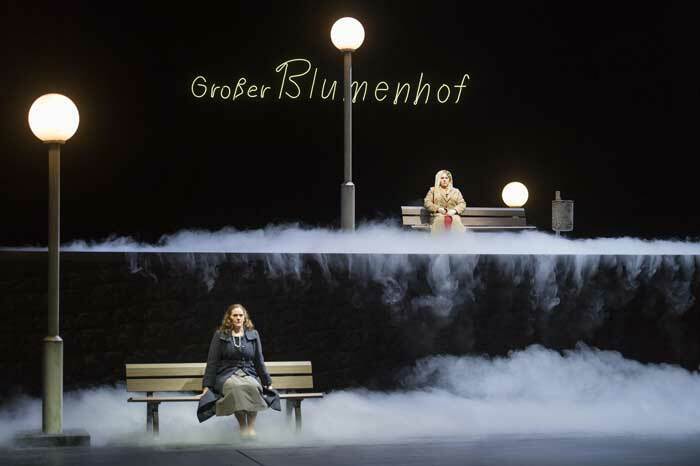 The production was dogged by the illness of two of the singers, Anna being substitued by a composite of Katerina Tretyakova singing and Annabell Arndt miming the action while Steven Ebel took the role of Konrad. Despite this it was a gripping evening. 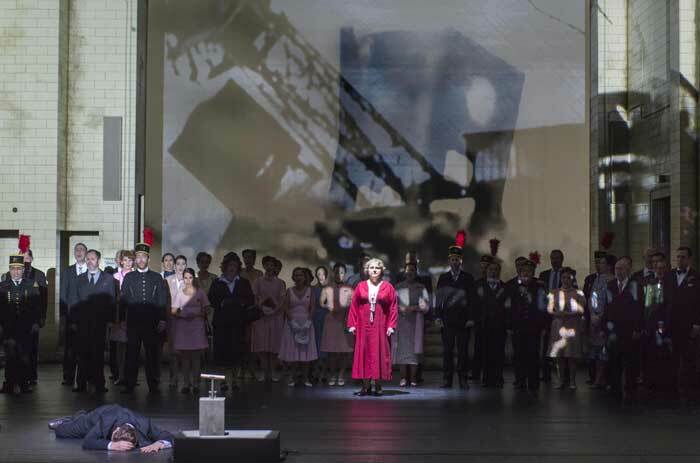 The director, Andreas Baesler, very cleverly worked in the idea of the rise and fall of the Essen coal industry with this plot, not pushing it too hard but giving the opera an interesting resonance. In fact it seems that the parallels were even more precise with Alfried Krupp and his mother Berta being alluded to. 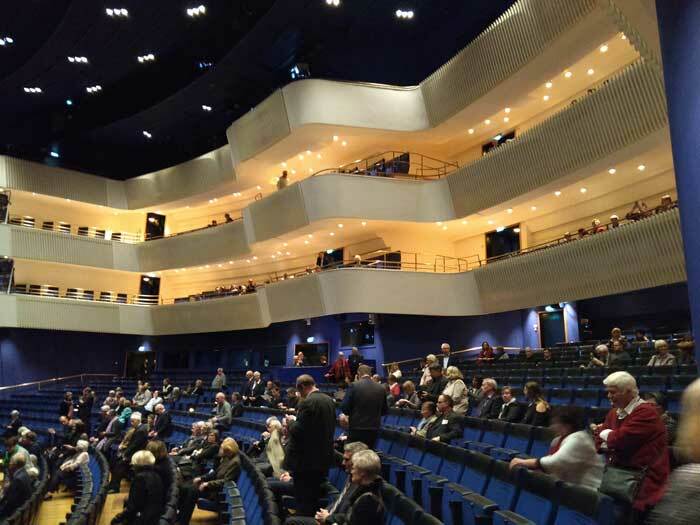 The coal mining in the area shut down in the 1980s but the action was set a decade or two earlier to judge from the dress and furnishings, which were nicely judged to give the right atmosphere without yielding to the temptation to clutter the stage with period knickknacks. 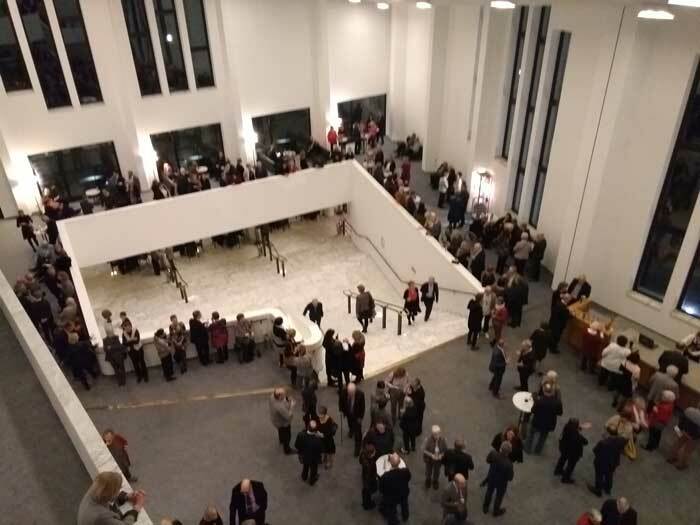 Although labelled a Romantische Oper, the opera has dialogue but it occurs usually in blocks followed by blocks of music rather than in the English opera model of the time where the music was often just songs punctuating the dialogue. 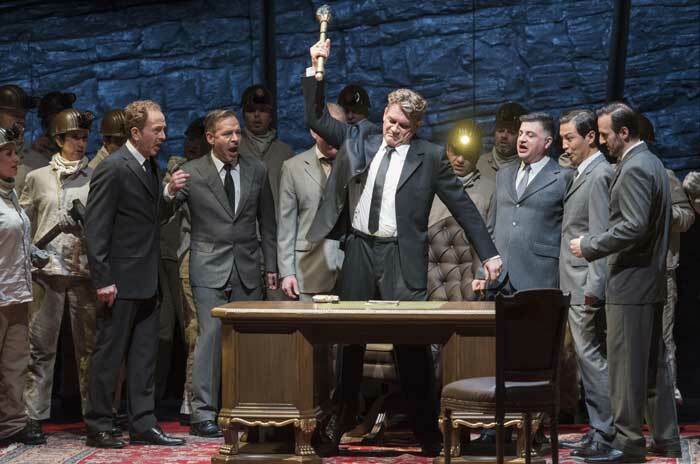 Some of these musical scenes were very powerful dramatically with a focus on ensembles rather than solo pieces. The confrontation between the Queen and Anna and Heiling planning his revenge were particularly impressive. 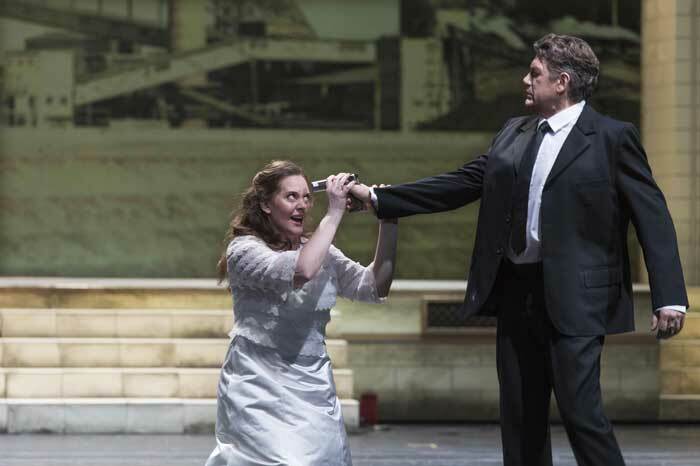 Somewhat unusually the overture follows the prologue in which Heiling decides to go above ground to marry Anna. During the overture film of the rise and fall of the Essen coal industry was shown. 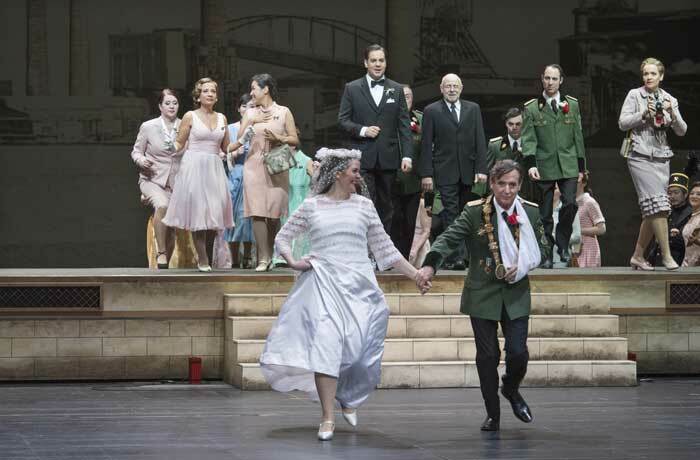 Rebecca Teem and Heiko Trinsinger, as Queen and Heiling, really held things together with superb performances in the face of the production's problems. Overall the singing was very good and was not let down by the substitutes. 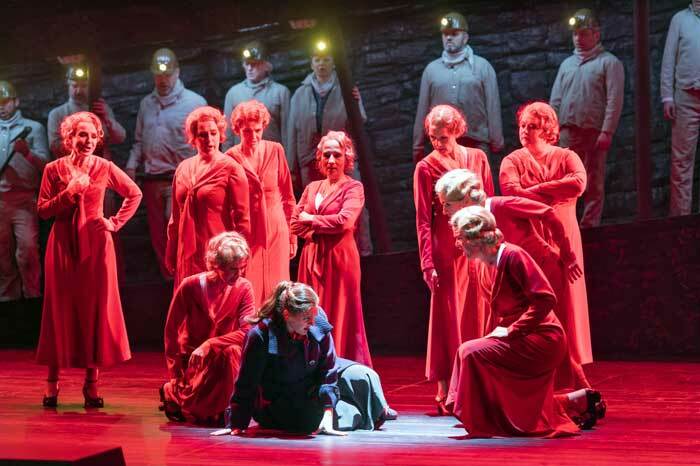 The chorus and orchestra under Frank Beermann were excellent and one got the impression that considerable work had been put into the whole production, which certainly paid off despite the difficulties on the night. The Earth Spirit Queen and other spirits (dressed as miners) try to dissuade Heiling. The coal theme was underlined by many of the spirits being dressed as miners. The Earth Spirit Queen confronts Anna. Heiling brings down the reign of coal in Essen. The ending was slightly changed in that Heiling instead of returning below the earth blows up the shells of the old industrial buildings that were part of Essen's history instead of the wedding party. 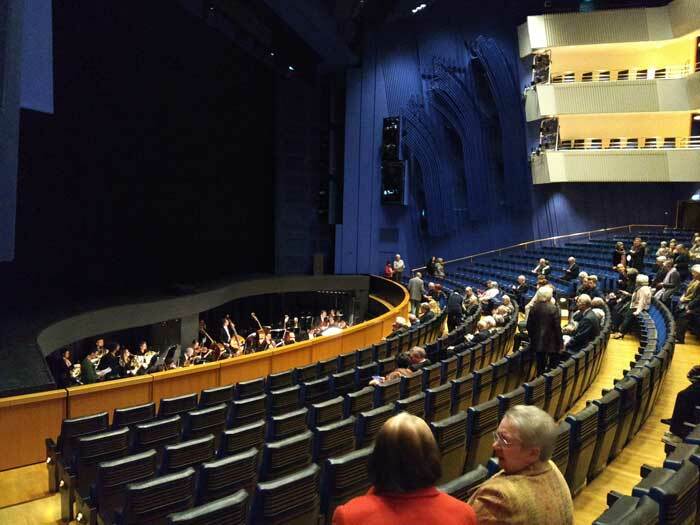 The opera house at Essen is around 30 years old with excellent acoustics, sight lines and facilities.